The BMI was certainly among the very first sanctioned [officially approved] worldwide Mantra Accumulation projects. 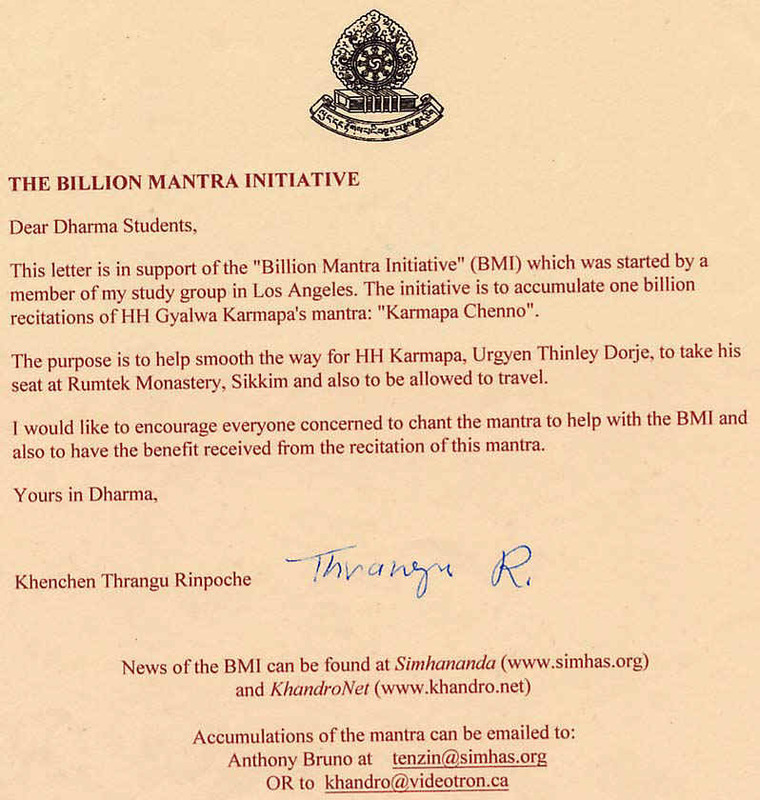 Below is a true image of Very Venerable Khenchen Thrangu Rinpoche's letter. It was signed before Khandro in Toronto on August 26, 2004. It is no different in content from the image displayed beginning in 2003 at www.rinpoche.com except that this one bears his signature.